Skinning the aileron and flap nose ribs. Flying was my dream since I was a kid. My first encounter with a Falco was in Augsburg, Bavaria in 1971. I saw a Falco flying down the runway with tremendous speed then zooming into the sky. It was quite impressive. A few days later the airplane was in the hangar, and I admired its beauty. Nine years later I read about Sequoia Aircraft in Richmond, Virginia selling plans for the Falco. I ordered it right away. But initially I could not make the effort to build one since I had other priorities. 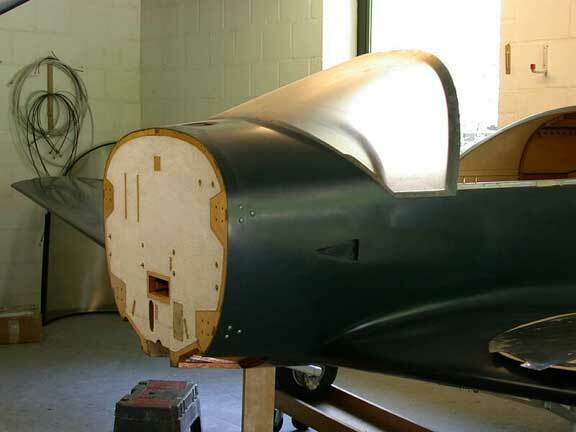 Skinning the aileron and flap trailing edge ribs. There was a German builder who never started building and sold his kit. It seemed to be a bargain, but the quality of the woodwork was poor, and I discarded the parts. A small company in Germany made them. 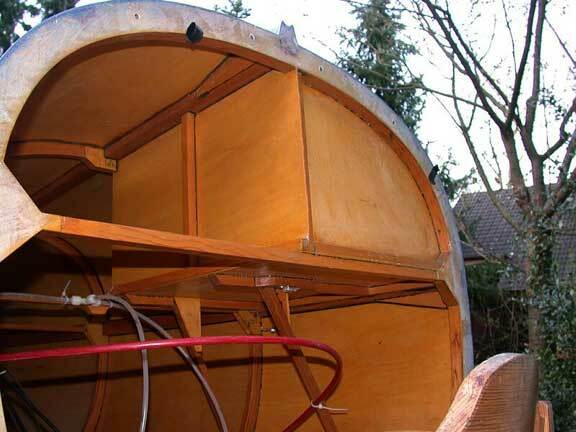 The fuselage rings including tail group parts are from Sequoia and of superior quality. 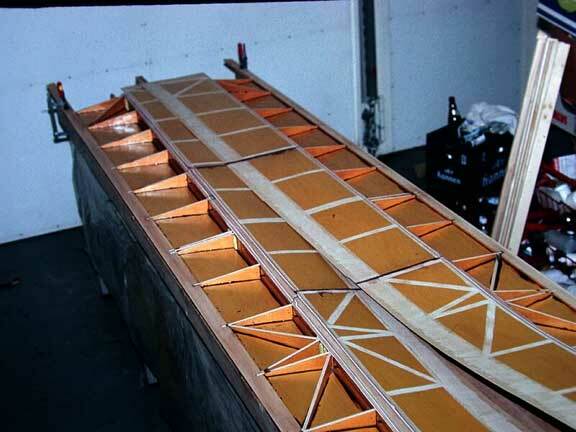 In 1994, the fuselage empennage and the wing were complete. Due to other activities in aviation beside my airline job, progress was rather slow. Later I was involved in flight operations management, and I had no more time for my Falco at all. Since the end of the 1999, I’m back as a line pilot again, and I had time to continue on my Falco. Inside the tail cone, looking at the battery box. 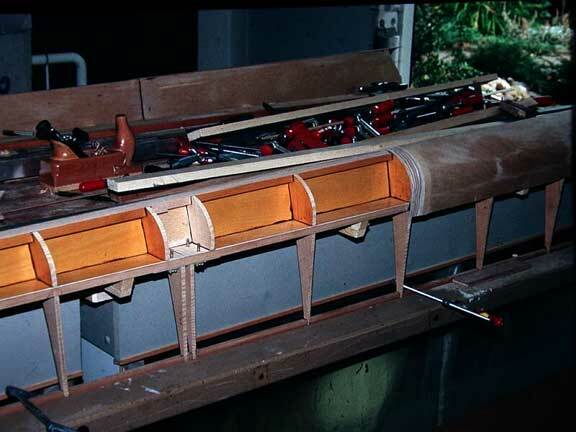 My second-hand kit included the inverted fuel system. I would exclude the inverted system next time because of the installation problems in the narrow engine compartment. Initially I used hoses with integrated fire sleeve, but I had a hell of a problem to get them around the corners without exceeding the limit radius. Finally I removed the hoses and installed the standard hoses with re-usable fittings.